With a stay at Hotel King, you'll be centrally located in Rome, steps from Palazzo Barberini and minutes from Caffe Greco. 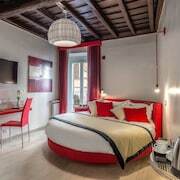 This hotel is within close proximity of Trevi Fountain and Piazza di Spagna. 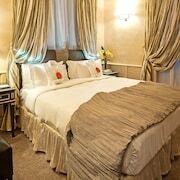 Make yourself at home in one of the 72 air-conditioned guestrooms. Complimentary wireless Internet access keeps you connected, and satellite programming is available for your entertainment. Private bathrooms have complimentary toiletries and hair dryers. Conveniences include phones, as well as safes and desks.